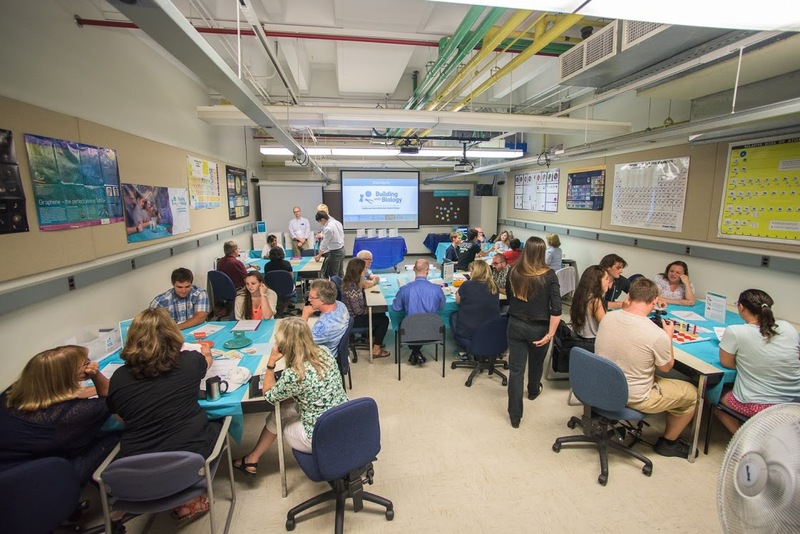 On August 2nd, 2016, middle & high school Connecticut educators participated in a Building with Biology professional development workshop with Southern Connecticut State University (SCSU) faculty: Dr. Sarah Roe, Assistant Professor of Philosophy, and Dr. Nicholas Edgington, Associate Professor of Biology. The workshop was a collaborative event coordinated by CRISP and the Office of STEM Innovation & Leadership. Educators discussed the social and ethical implications of synthetic biology with the first ever SCSU iGEM team through the forum “Should We Edit the Genome? When, Why, and How Much?”. The forum fostered a fruitful dialogue about potential implications of emerging synthetic biology technologies. Contrasting viewpoints about using CRISP-Cas9 to modify bees, mosquitoes, and spider silk were shared and discussed. The iGEM team also facilitated hands-on activities using Building with Biology physical kits: Bio Bistro, Kit of Parts, See DNA, Super Organisms, Tech Tokens, and VirEx Delivery. 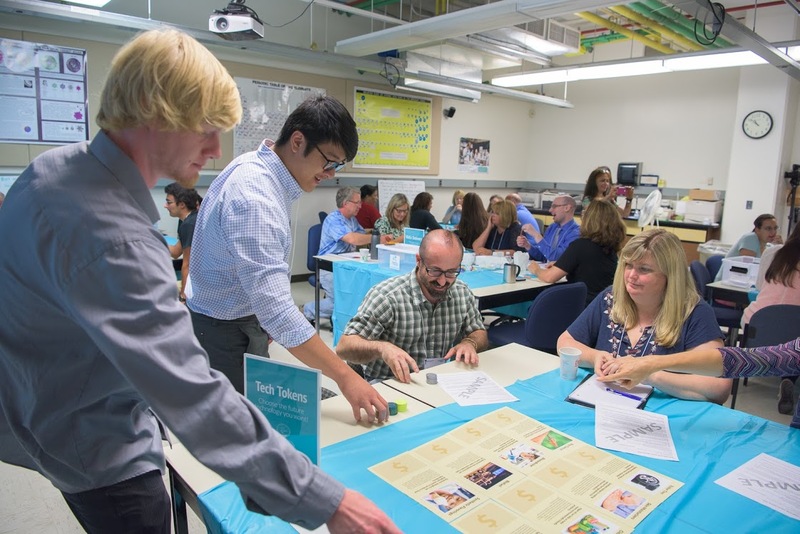 Bio Bistro, Kits of Parts, and Tech Tokens were most well-received as educators appreciated the “real-world” context of diet choice and business investment decisions in synthetic biology. 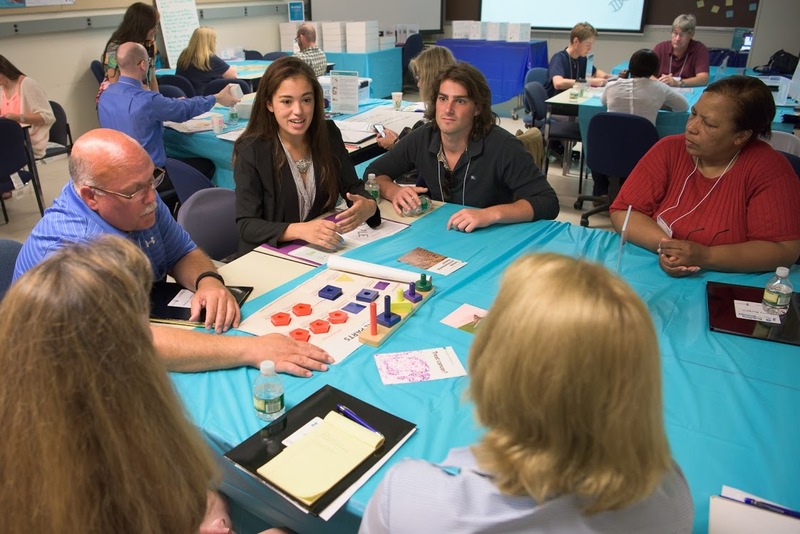 Educators discussed connections to the Next Generation Science Standards and state curriculum in small groups.